Are you a hunter, target shooter, bird watcher or a fan of any other outdoor activity where enhanced vision is required? One of the best choices you can ever make is investing in a quality spotting scope. These gadgets have a great magnification which varies from 10X up to 250X. This makes them the best for activities such as birding, long distance hunting, target shooting and other outdoor adventures. When searching for the best spotting scope, it is not easy to determine the best due to the numerous brands available on the market. To make your work easier when buying, we have done a lot of research to come up with the best spotting scopes under $500. You will learn a lot from this guide. Magnification: – The quality of a spotting scope is determined by its magnification power. Look for a device with a magnification of between 20X to 80X. A powerful magnification provides a closer and a sharper image view. Objective lens: – A good objective lens provides a clear and bright image. A powerful objective lens will enable the scope to gather extra light at night or in low light conditions. Body style – Spotting scopes come in two body styles. That is angled and straight. The straight style is ideal when you want to view objects from a high surface. Angled scope is ideal for flat surface viewing. Consider the topography of the area you intend to be using the scope. Lens coating – There are three types of lens coating namely; fully multi-coated lens, multi-coated and fully coated lens coating. A lens coating determines the quality of the image. Therefore, ensure the lens coating on your spotting scope should provide a clear and sharp image. Tripod – A tripod makes the scope firm and easy to hold. The tripod should be long lasting and should provide an excellent viewing experience. It should also be strong and easy to adjust. Fog proof and waterproof – The best spotting scope should be fog proof or waterproof. Such a scope is important because it can be used in all weather conditions. 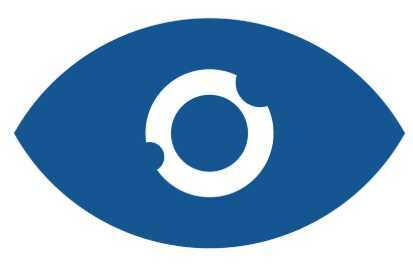 Eye relief – This refers to the distance between the viewing point of the scope and your eyes. The eye relief should be big enough to enable you view even when you are using sunglasses. It should be at least 14 mm. This one comes with fantastic features which makes it the best spotting scope under $500. First of all, it is made of heavy-duty materials to make it durable. Even with the strong materials, it is very easy to carry. Unlike others, this gadget provides an excellent visual quality. What makes it the best is the fact that the lenses are coated with ArmorTek material which makes them resistant to scratch dust and oil due to the ultra-hard compound. Apart from that, the ArmorTek compound protection repels fingerprint salts which are corrosive to the outer lenses. Additionally the device is filled with nitrogen which makes it an ideal choice for use in harsh climatic conditions. The nitrogen also ensures that it is resistant to fog and water. The coatings in this device help to boost transmission of light and provide an antireflective feature when your focus is on air-to-glass surfaces. It also comes with an adjustable eyecup for viewing even when you are not using eyeglasses. With this device, you can to view objects irrespective of your elevation. Do you want to know other reasons that make it the best? Check out customer reviews on Amazon. The device is fog and water resistance. It is not ideal for low light conditions. Focus adjustment knobs are hard to control since they are small. Summary :- This one is the best spotting scope if you are on a budget. It is durable and comes with a lifetime warranty which guarantees its quality. 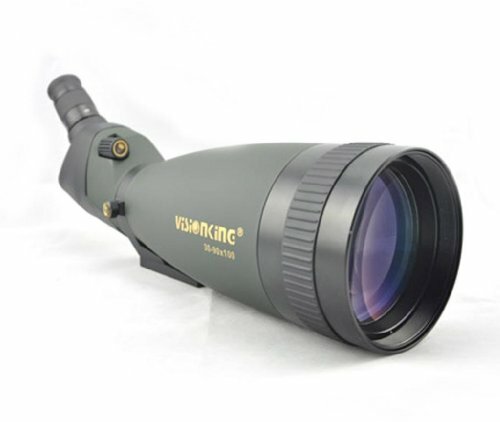 Here is another top quality spotting scope which is ideal for hunters or environment lovers. One of the best things with this device is its ability to zoom objects in different settings. With this equipment, you are able to view situations from a distance without interfering with the settings. It is made of top quality materials and the optical coatings together with the lenses are of high quality. The outer part of the gadget is top notch and does not slip off easily. Another thing about this device is that it is very easy to clean; you can just use a wet cloth. The outer part does not allow dust to settle since it is very smooth. it weighs 7lb only which means makes it portable. Unlike others, it has a fine pair of a line which intersect at right angles within the lens. These lines enable you to aim your target easily. It also features a sight tube which provides the required support for quick targeting. In addition, it comes with a case which allows you to carry it easily. All the fittings are already fixed on the gadget and cannot be removed. finally, it is very comfortable to use since it has a nice grip which allows you to use it for long hours without getting tired. The equipment is made of high quality materials. It does not come with extra fittings which makes it easy to use. It has a clear view, especially long distance view. It is not easy to set focus. Verdict- This one provides one of the best view as compared to other scopes. It is made up of quality materials which makes it durable. One of the best things about this device is that it provides an excellent image quality. The product is made of quality materials and uses very advanced technology unlike others. If you are searching for an efficient spotting scope for all your outdoor activities, this one comes with amazing features. People like it because it provides a sharper and clear image as compared to others. Due to this, it is one of the best for target shooting, hunting and birding. Another amazing thing about this spotting scope is that it is durable and ideal for all weather conditions. It features a polycarbonate housing that makes it resistant to shock. Additionally, it fits perfectly on the standard tripod provided. It also features an objective lens which makes objects clearer and brighter. Presence of multi-coated optics provides a great light transmission. Unlike others, it has an O-ring seal and a nitrogen charged optic chamber to make it fog proof. It has a top notch waterproof and fog proof design. It comes with necessary accessories. It offers a sharp and clear image unlike others. Does not have fine focus. Verdict – This one is a top notch product for those on a budget. It has a great design and comes with amazing features. It also comes with a lightweight polycarbonate casing which makes it easy to carry. This one has a very sturdy construction to give you the best image quality. It provides a magnification of 20-60X, which is perfect for activities such as photography, hunting and bird watching. The 20-60X magnification means the minimum view if an object you can get is 20X bigger and maximum is 60X bigger. To ensure that the object is of high quality, it features multicoated optics which provides accurate light necessary in production of a clear image. The scope also comes with a quality camera adapter that is compatible with the gadget. A camera adapter provides you with the best digiscoping. It also filled by nitrogen gas which makes give you a clear view in foggy climate. This means you can use the spotting scope even in high humid conditions since it is also waterproof. Apart from that, it comes with a lens shade which protects it from rain. The tabletop tripod of this device enables you to view objects in a steady and firm conditions. A tabletop tripod is more comfortable and effective as compared to other tripods. In case you are not satisfied with its performance, you can take it back since it comes with a lifetime warranty. You can get Konus 7120 20 X 60 X 80 at a discounted price on Amazon. Get it now. Quality tabletop tripod for firm viewing. It is suitable for digiscoping and hunting. It provides different image sizes through its magnification of 20-60X. Lens shade which protects it from rain. 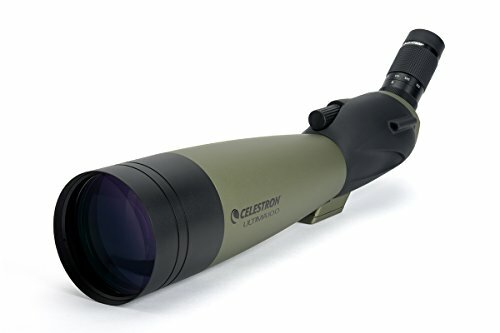 Verdict – This one is an important equipment for your hunting and outdoor needs since it contains high quality optics to provide a clear and sharp image. This one is ideal for people on a tight budget. It is a quality scope which comes with BAK4 prim glasses and fully multicoated optics. BAK4 is a very high-quality glass and the initials stand for Barium Crown glass. This material provides brighter, sharper and clearer images as compared to other materials. The high-quality glass makes it one of the best for all your outdoors activities. 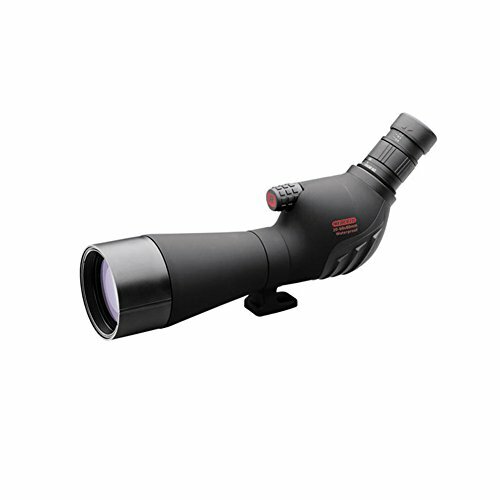 It has a magnification of 20X to 60X which is great for general hunting activities. 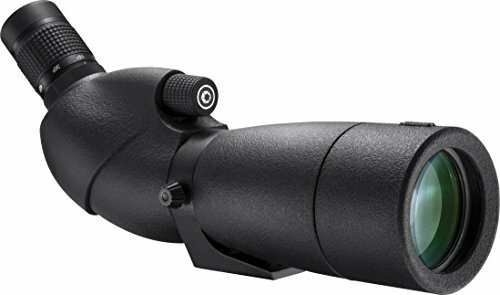 It can be a great choice for those searching for a scope that is fully weatherproof. The device has an angled eyepiece system. Besides that, it comes with an effective pad head tripod and has a textured rubber body. Pan head tripods are very stable and easy to use. All you need to do is to attach your equipment to the tripod then secure it properly. After this, you can rotate the handle on the tripod according to your desired direction. It also comes with a hard carry case and a soft carry case which makes it portable. Verdict- This one contains an angled eyepiece system and has a pad head tripod which makes it easy to use. It comes with a carry case which provides protection when it is not in use. This one is a great scope for camping or when taking a nature walk. One of the features that make it among the top spotting scope is the soft padded case. The case contains a dense etha-foam that protects the scope from bumps. This case is lightweight and portable. 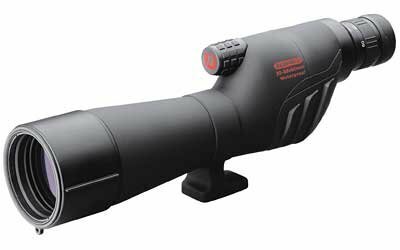 Moreover, the scope features a Schmidt-Cassegrain Optical Design to provide a compact and a rugged optical design unlike other spotting scopes. It uses a combination of mirrors and lenses to provide a clear image. Unlike others, this one has a terrestrial finder to enable you locate objects which might have not appeared in the narrow high power field of view. The best thing with this scope is that it fits well in any photographic tripod with a ¼ inch 20 threaded screw. Also, it contains AR coatings on the corrector yields to provide great light transmissions. Additionally, it has HR coatings on all primary and secondary mirrors which offers higher reflectivity. You can interchange the eyepiece. It gives a smooth focus. It comes with the best optics. It has a perfect carry case. 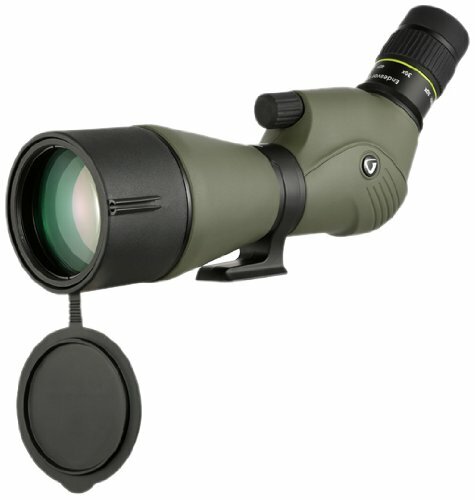 Verdict – This scope provides quality images and is a great companion if you an outdoor enthusiast. It is lightweight and works perfectly with different tripods. This one is one of the easiest spotting scopes to use. It comes with an attractive design which makes it easy to clean. 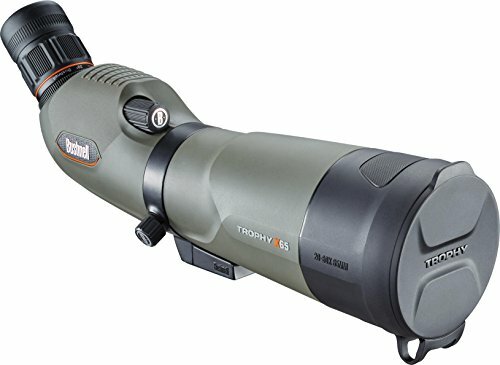 If you are searching for a good scope for bird watching, hunting, and other outdoor adventures, this one is one of the best. It is very flexible and comes with easy to use controls. Additionally, it is made up of high-quality materials which makes it durable. The features are amazing and it’s very affordable. The device comes with fully multicoated lenses to provide a clear image. It also comes with long eye relief for long-range viewing. The O-ring seals lenses make it waterproof. On top of that, it comes with an effective tripod and a soft carry case. It contains dry nitrogen purged and sealed which makes it fog proof. 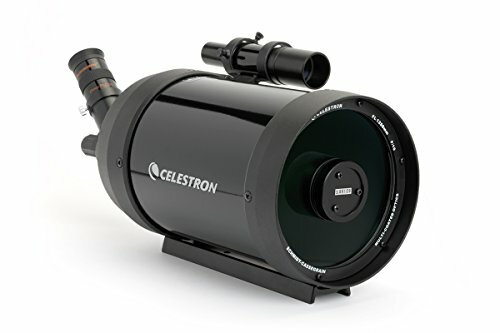 The full-multicoated objective lens provides clear and bright images. You do not need to use a special tripod since it fits perfectly on any standard camera tripod. The retractable shade makes it perfect for all weather conditions. Verdict – This one is a very effective scope which comes with an attractive design. It is easy to use and contains fantastic features to boost its performance. Are you searching for a scope you can use for hunting even in dim light? Vanguard Endeavor XF might be what you are looking for. It comes with multicoated lenses which helps to reduce glare. These lenses also enable it to transmit light to give a great image quality even in low light conditions. The most noteworthy feature of this scope is the inbuilt sun shield which prevents glare as well as protecting the other components. In addition, the adjustment focus wheel allows you to change the focus easily when stalking the hunt. Another thing is that it contains a rubber armor which makes it suitable for different weather conditions. The device is made from sturdy materials and this means you can hang it on your back without any worry that it might be damaged. The only problem is that it provides low quality images at high magnification. However, it is very easy to use which makes it suitable for beginners. You can also check what customers are saying concerning Vanguard- Endeavor XF on Amazon. It has a nice appearance. Ideal for any climatic condition. Provides great images even in low light conditions. Verdict- This one is s strong spotting scope which can be used in any climatic conditions. It is easy to use and has a nice appearance. This one is a perfect spotting scope for birding, hunting, nature studying and other outdoor activities. 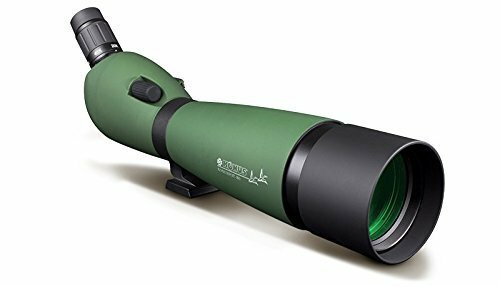 It provides a clear view which makes it ideal for those who are using a spotting scope for the first time. One of the major advantages of this device is that it is waterproof and fog proof. Unlike others, the lenses are covered by a rain guard HD which is repellant to water. Even when you are using it in misty situations, it still provides a clear view due to the lens coating. Another notable thing about this device is that it comes with fine adjustments which allows you to set it according to your preferences. However, you can only set it at 45 degrees. Additionally, it has a magnification of 20X to 60X which provides clear images even at a high level of magnification. It also comes with dual focus controls which are easy to adjust. Lastly, it features ED prime extra low dispersion glass which gives you high-resolution viewing. Quality lenses which provides a clear image. It comes with a hard case to keep it safe. It has an effective tripod which allows you to adjust it easily. Verdict – This one is a quality spotting scope which you can use in all weathers since it’s waterproof. The lenses also provide a clear image. Finally, we have the Redfield Rampage 20-30 X60 spotting scope. If you are searching for a lightweight spotting scope, this might be what you need. It provides a great performance and it is low-priced. The device has a magnification of 20X-60X which means it offers a great view as compared to some cheap spotting scopes. This scope is very easy to use since the zoom and focus wheels turns smoothly. It also has an excellent twilight factor which ranges from 34.6 to 60 according to the zoom settings. One of the reasons why we have reviewed this product is because unlike some expensive models, it allows you to shoot in different angles with great visibility. It has an eye relief which makes it suitable for those who wear spectacles. In addition, it comes with a tripod adapter which you can use for different functions. Furthermore, the device is waterproof, fog proof due to the availability of multicoated lenses. It also uses rubber technology to boost its protection. The equipment has a polycarbonate body as a result, it is strong and lightweight. An impressive field of view. Retractable lens shade which allows you to adjust the amount of light passing through the lens. Verdict – This one uses a rubber technology to enhance protection. It is lightweight and provides a good clarity. The device allows you to view in different angles. We understand that searching for a quality spotting scope is not easy. Due to this, we have spent countless hours to come up with the best products that you can ever find. The best thing with the above products is the reviews are based on user experiences which means that all the products have been tested. All the above products are top rated in various online stores which guarantees their quality. You will also note that they are affordable which makes them ideal for those on a tight budget. As you can see from the reviews, all the products come with amazing features to ensure that you will get the best from these devices. The best thing is that their features vary from one product to the other. This means it is very easy to identify a product that will work perfectly for you. In conclusion, outdoor activities can be more enjoyable if you have a quality spotting scope for easier viewing. All the above spotting scopes are of high quality and the best thing is that you don’t need to break a bank to get any of them. They are easy to use and come with advanced features. If you are not sure of the best product for you, chose a device with a great magnification for clear viewing. The device should also have a great design to enable it withstand harsh climates. Another thing you should consider is the objective lens. The objective lens should be able to provide bright and sharp images. 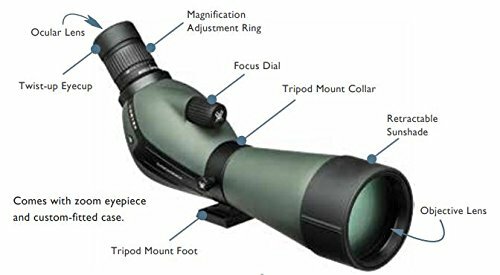 As you can see from the features, all the products in our lists meets all the requirements you should expect from a quality spotting scope. It is our hope that you got what you have been searching for from the reviews. Remember to check their discounted price from the comparison table. Look for one now before the price goes up.